USC Football: Matt Barkley To Start As Quarterback Against San Jose St.
At the end of spring ball, Aaron Corp was named starting QB for the Trojans. Then Corp suffered a crack in his left fibula. 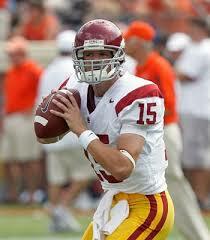 Freshman Matt Barkley stepped up and has now secured the starting quarterback spot for USC.